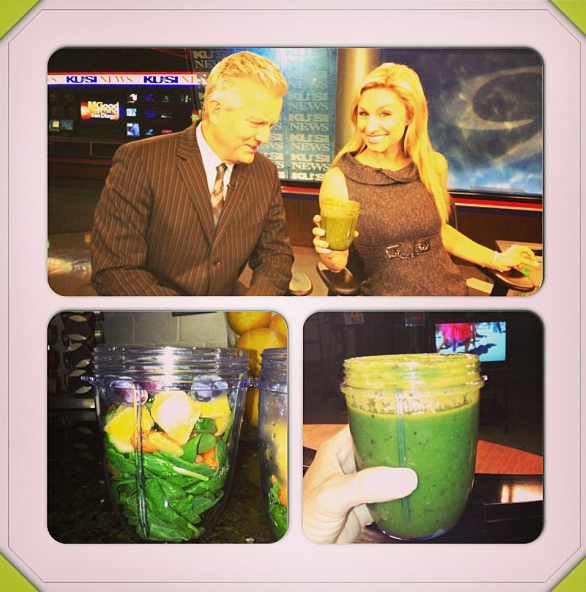 Alexis DelChiaro, morning news anchor for San Diego’s KUSI, committed to the 30 day Green Smoothie Challenge on April 1st… and that’s no joke. The goal of the challenge is to drink at least ONE green smoothie a day. The drinker can take it down as a meal replacement, snack or dessert (go figure). Alexis sent us a picture of her DAY ONE Green Juice with the recipe to boot. Yesterday I stocked up on tons of healthy fruits and veggies for the week. Easy peasy! Here’s what’s in my @thenutribullet juice: 2 cups spinach, handful of baby carrots, handful of cucumber slices, 8 mango chunks, 10 frozen grapes, 1/2 banana, chia seeds and water. (Btw, my co-anchor is not impressed! He’s always grossed out by my “sludge” drinks! Ha! I love the way I feel! 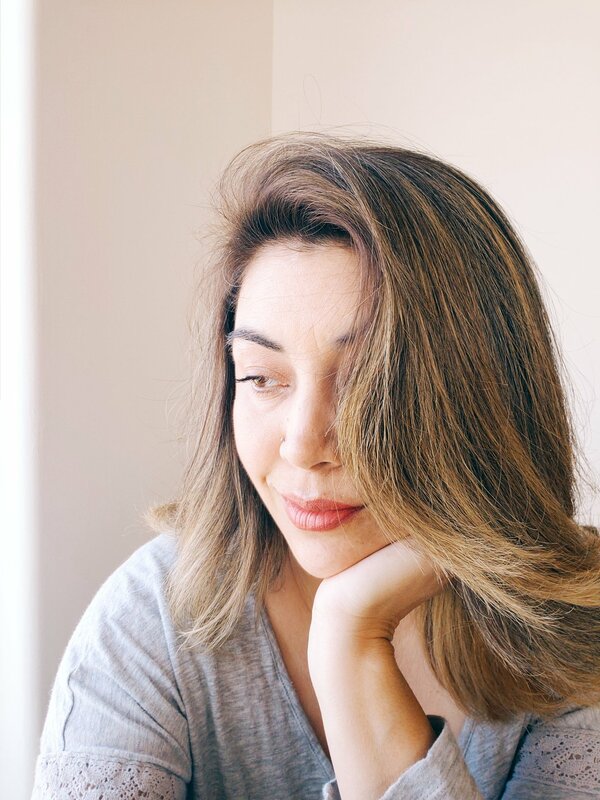 Waking on the weekends inspires me to do one of two things… head downstairs in my fuzzy slippers and whip up a culinary morning masterpiece or get dressed in my cozy hoody and head out early enough to stand in line for a breakfast feast. 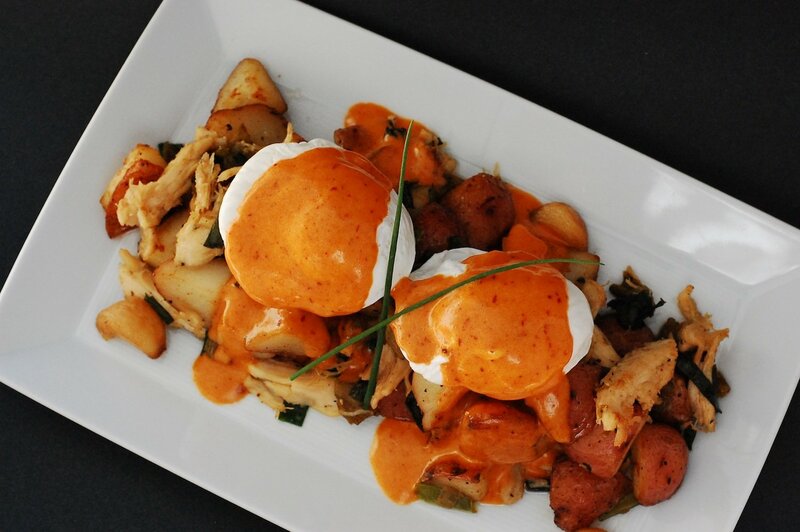 I have been told that a #San Diego MUST TRY is Executive Chef Reese Hay’s Sunday Brunch at the Andaz San Diego. Until I make it down there for a review, here is a recipe they shared with us. ENJOY! On a flat top stove in 1 tablespoon of clarified butter, combine all ingredients except potatoes and eggs. Cook on medium heat until mixture is hot and begins to form a crispy crust. Bake the potatoes, and once cooled, cut into medium pieces, then add potatoes to the pan. Add whole butter and continue cooking on medium heat until steaming and crispy. Place in a large cereal bowl. Serve two eggs poached on top (Below: Chef Reese’s method for poaching). Drizzle 2 ounces of hollandaise sauce (Below: Chef Reese’s recipe for hollandaise sauce) over the top and garnish with chopped green onions. Put ¼ cup white vinegar and 4 cups water in a medium pot and bring to just below a boil, let it sit at that temperature. Crack the egg and pour it into the water. Use a slotted spoon to ease the egg off the bottom of the pot after a minute or two to prevent sticking. Let it sit in the hot water for 5 minutes. Remove with a slotted spoon and place on top of the hash while hot. Over medium heat in a double boiler, cook the egg yolk and lemon juice and mix with a whisk. Stir for approximately 2 minutes over the heat. Pour into a blender and pulse on high. Drizzle in the clarified butter on slow speed as it is incorporated. It will be smooth and velvety in consistency. Fold in the chopped cilantro by hand. Andaz San Diego is an urban escape known for friendly and uncomplicated service, sophisticated design and unpretentious style. Located in the heart of the Gaslamp Quarter, the cornerstone of the property is a 159 room hotel with 17 suites, each with custom fixtures and amenities, flat panel televisions and generously sized glass-enclosed bathrooms. Guests can enjoy complimentary welcome beverages while being checked in via iPads® as well as complimentary amenities such as wireless Internet, local phone calls, and a mini-bar with non-alcoholic beverages and snacks. A center of nightlife, Andaz San Diego offers guests the Ivy Entertainment experience including the Ivy Nightclub, Ivy Wine Bar and Ivy Rooftop, a sultry rooftop bar and lounge with stunning skyline views, pool and private cabanas. Additional amenities include 10,000 square feet of flexible meeting and function space. For more information about Andaz San Diego, visit www.andazsandiego.com or call 619-849-1234. 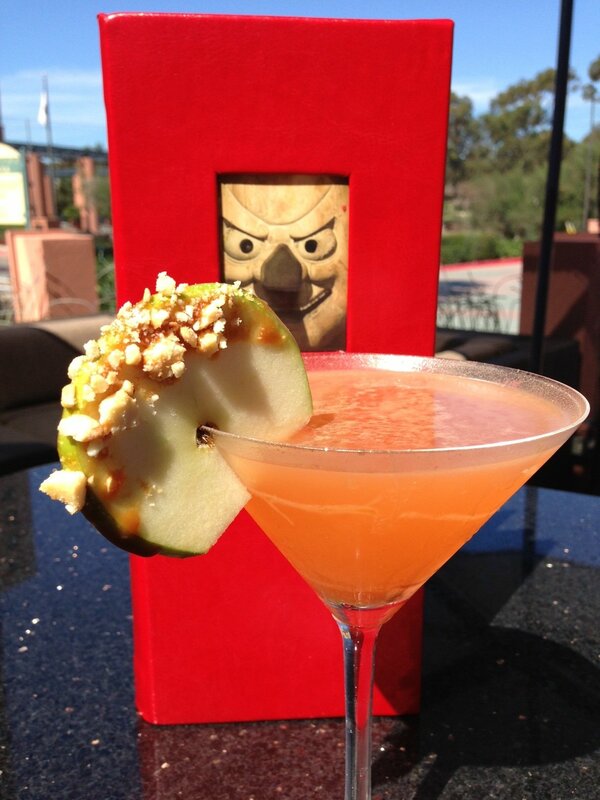 Combine the above ingredients in a martini class, then garnish with a thin slice of an apple dipped in caramel sauce (first) and crushed cashew (second).